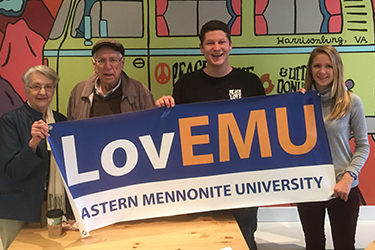 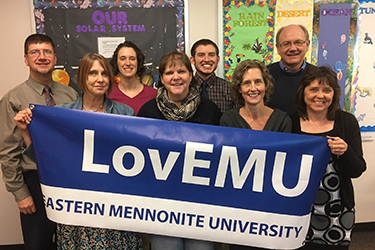 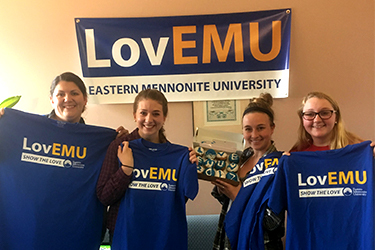 EMU alumni often say they "loved their EMU experience." 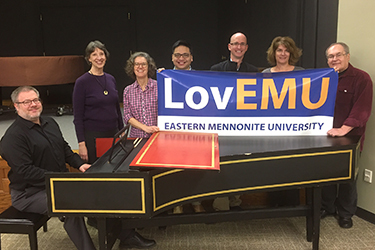 Maybe it was a professor, a journey of self discovery, making friends for life, cross-cultural study or athletic team experience. 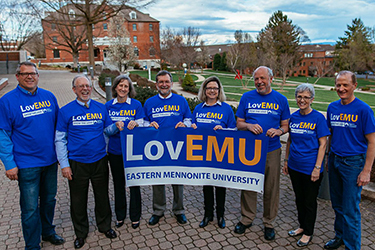 Today you can help make the same experience possible for students of all backgrounds and ages by making a gift of $10 or more to support student financial aid through the University Fund, or any program of EMU that you desire to support. 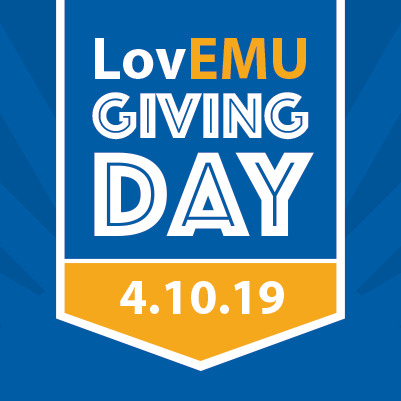 Post on Twitter or Instagram using #EMUGivingDay to be featured on this page! 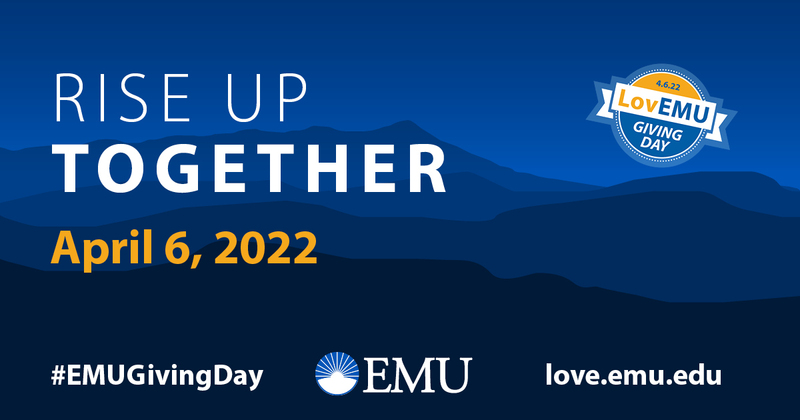 Use these cover photos, profile pictures and share images on Facebook, Twitter, and Instagram before and during the day using #EMUGivingDay. 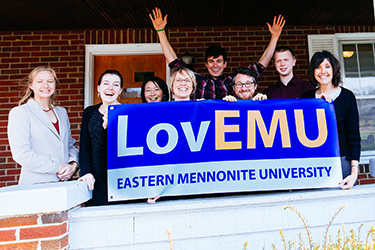 Right click on any of the images below (or drag to Desktop) to save and use!